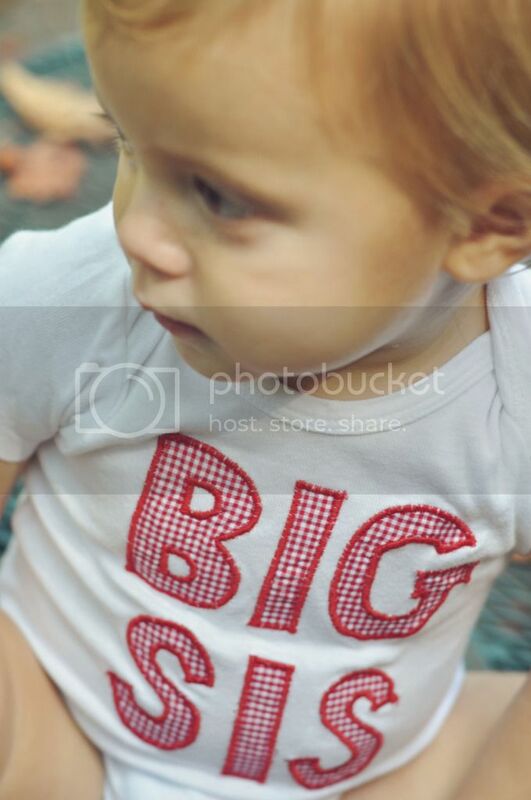 For This Child I Prayed: the big sis and other "stuff"
what is our baby sibling? the big sis and other "stuff"
I don't think I've completely wrapped my head around the fact that the baby of the family will soon be the big sister. In my mind she is still such a baby, but when Lael was this age I saw her as such a big girl. So funny how your perspective changes as each child comes along. 1. We're happy to now be a little over 14 weeks along. My children are glad, too. Whoooo boy... was I sick. This pregnancy I think was the worst in that department, but at the end of my rope when I was about 8 weeks along I decided to finally try the Phenergan that was prescribed to me by my OB. People... this drug is a modern day miracle. 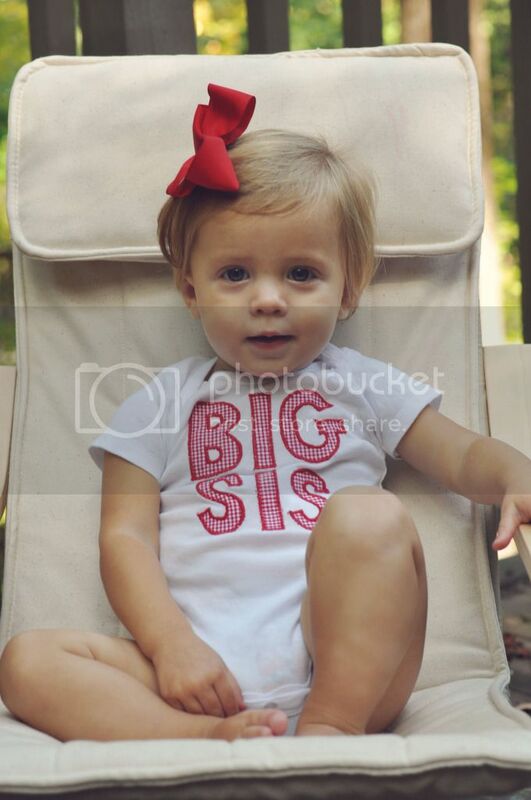 I'm so mad now that I didn't take it when I was pregnant with Lael and Ruthie. The catch is that is makes you sleepy. BUT, if you take it at about 9 pm then it will make you sleepy while you're sleeping. Perfect!! It helps me get through the night and even lasts through the whole next day so much that my food aversions are gone, my appetite is back in full force, the constant car sick feeling I was having is gone and I can actually brush my teeth without losing my breakfast. THAT in and of itself is something to celebrate. Sometimes I still have that uneasy feeling, but on the whole, I'm like a different woman. Just ask my husband. 2. 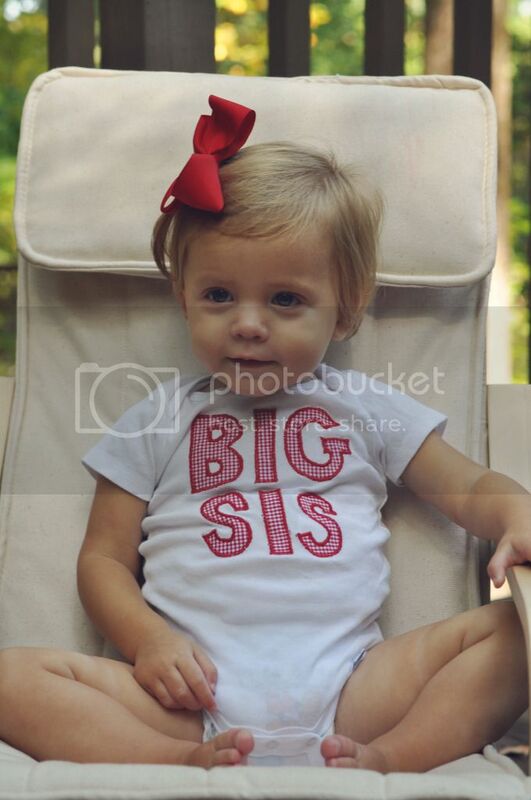 You can see Lael wearing this same onesie here as the "big sis" when we were expecting Ruthie. 3. This baby is yet another answered prayer. We had prayed intentionally and specifically together in July that the Lord would give us another baby that month, and in His mercy, He did. 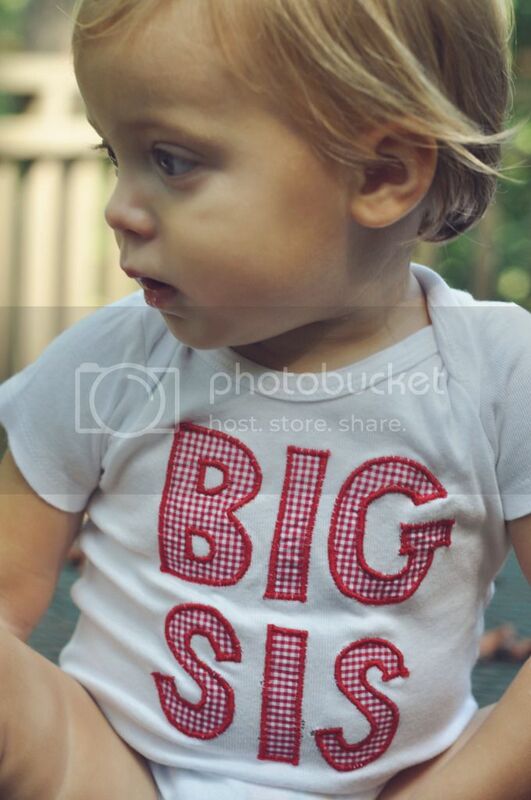 We are so thrilled that Ruthie will have another sibling so close to her in age. These two will be 21 months apart. 5. I experience a moment of sheer panic pretty much everyday when I think about having three children ages three and under. And then I wonder, "Are we CUH-RAZY?!" To which, many of you might be thinking, "YES!!!" BUT, we are just so thankful to have them. So thankful that they have been entrusted to us by a loving God who has heard our prayers and fulfilled one of deepest desires. such a sweet post and RIP to your dad! just be happy so your baby is too! You will be a great mother and I'm sure your husband will be a great father to this baby just as you were to your other 2. So sorry to hear about your dad, but praise Him for that answered prayer of a new life! Yay! so very happy for you! there's nothing better than so many sweet babies! What a wonderful gift, to be able to share with your Father the coming of a new grandchild before he moved in with The Father. Amazing how God works in our lives. My first 2 children are 23 months apart in age. 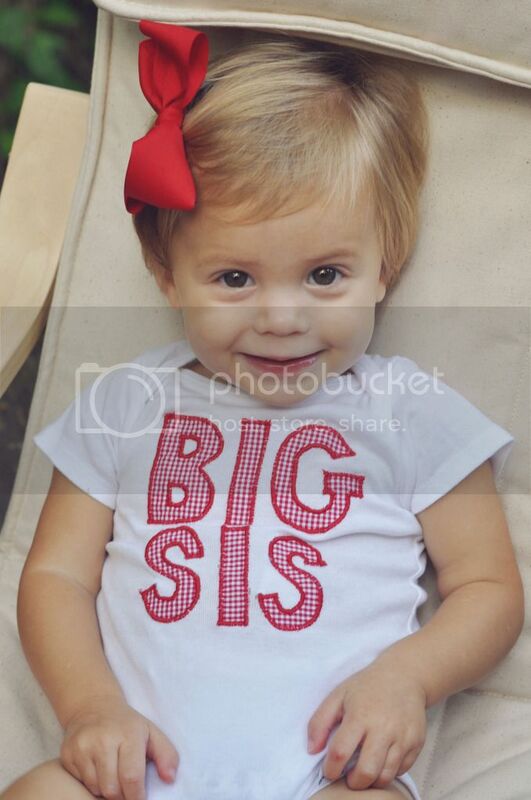 Our third child is 2.5 years younger than our second, and then 20 months later we had our fourth. :) HE was a surprise, but a welcome surprise. Three years later we added number 5, who is now 4 years old, and number 6 JUST celebrated her first birthday in September.